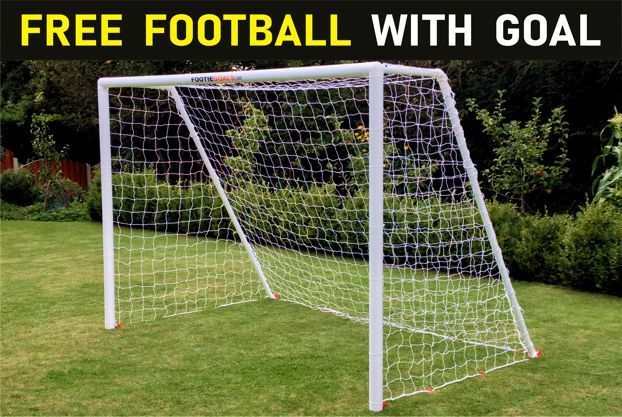 Garden goals that can inspire and develop football skills.They may never score a winning goal at Wembley but with these goals you can give them the dream. You will not be disappointed with these football goals we guarantee it ! Hi Georgina, Thank you so much for your assistance this morning. it is so rare to receive such excellence customer service! I have recommended you on my FB page, are you on twitter as I will tweet too! Thank you again. The football goal arrived during Monday and we erected it tonight after work and my son is delighted with it.